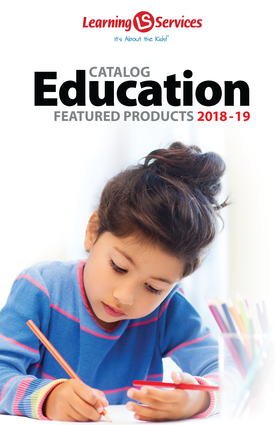 Use this comprehensive, research-based program to teach children with autism the critical skills identified by the 2001 National Research Council. 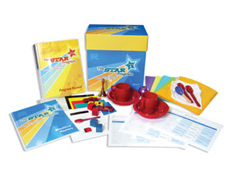 The STAR program includes detailed lesson plans, teaching materials, documentation, and ongoing assessment. Students with autism and other developmental disabilities systematically master receptive language, expressive language, spontaneous language, functional routines, pre-academic and academic skills, social interaction, and play skills. Select this level if your student has difficulty following simple commands, has no or very little language, has behavior issues when asked to do a simple task, and may not interact with other children. With Level I, teach students to: understand basic language concepts. * start to use verbal language to request desires. * follow simple routines such as arrival to an activity area, departure from an activity area, circle time, or snack time. * begin to participate in independent constructive play. * Applied Behavioral Analysis forms the instructional base of this comprehensive program. * Educators, paraprofessionals, SLPs, and parents will find the STAR program easy to implement. * Lessons plans can be easily tailored to meet the needs of individual students. * Student Learning Profiles enable educators to plan lessons for each student and monitor progress for IFSPs and IEPs. * The manipulatives and blackline masters enable educators to use their time teaching rather than gathering materials. * The Program Manual describes how to implement the research-based teaching techniques of Discreet Trial Training, Pivotal Response Training, and Functional Routines. * The program meets the needs of students at various developmental levels with the three levels of the STAR Program. Level I Complete Kit includes: Color coded folders printed with lesson details; Black Line Masters book with reproducible forms, customizable lesson plans and student worksheets; Student Learning Profile (5); flashcards and photo cards; manipulatives; and a Program Manual covering all three levels of the STAR Program and a sturdy storage box.